Designed to keep comfort and cushioning levels up, and temperature levels down, the Wave Rider 22 has a dual compound midsole constructed from U4icX and U4ic, and Wave cushioning technology for a shoe that’s secure, and just waiting to spring into action. 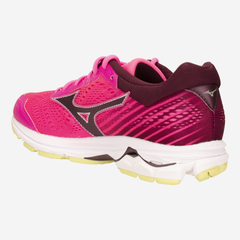 And, with a fully breathable, lightweight mesh upper, your feet won’t be over-heating as you’re over-taking. 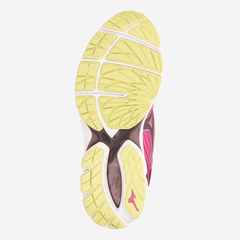 Maximum cushioning and comfort thanks to the U4icX bottom midsole and independent heel decoupling. Luxurious and smooth feel due to Cloudwave. Newly introduced Aerohug delivering thease cured fit with softest feeling. Inspired by nature, Wave is a unique mid sole technology that provides both cushioning and stability. 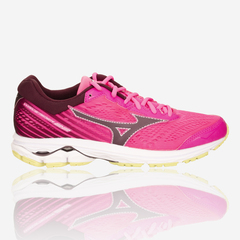 Wave‘s unique shape absorbs and disperses the impact at foot strike, which results in a smoother, more cushioned feel one very step. The DynamationFit system uses highly advanced motion capture and biomechanics technology. 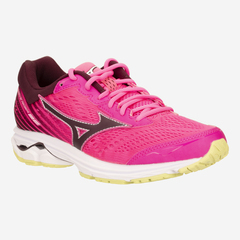 Breathable and cool, AIRmesh allows each running shoe from Mizuno to maintain a high standard of breathability and comfort of the upper. A high-grade removable insock for comfort and cushioning. New Wave, Maintain the Wave concept and feel,whilst making it softer and increasing comfort. 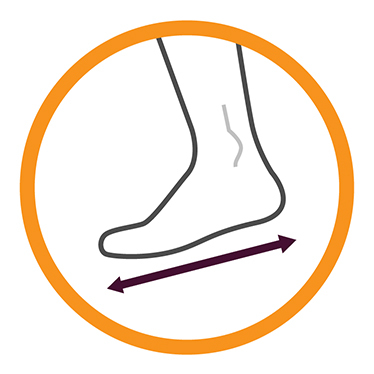 An engineered approach to minimise the rapid acceleration and decelaration of the foot duringtransition, creating the smoothest ride possible. Cool and Dry. 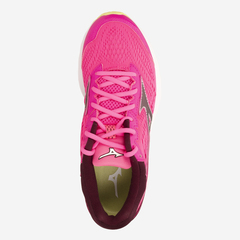 Mizuno Intercool solves theproblem of heat and humidity build-up in arunning shoe. 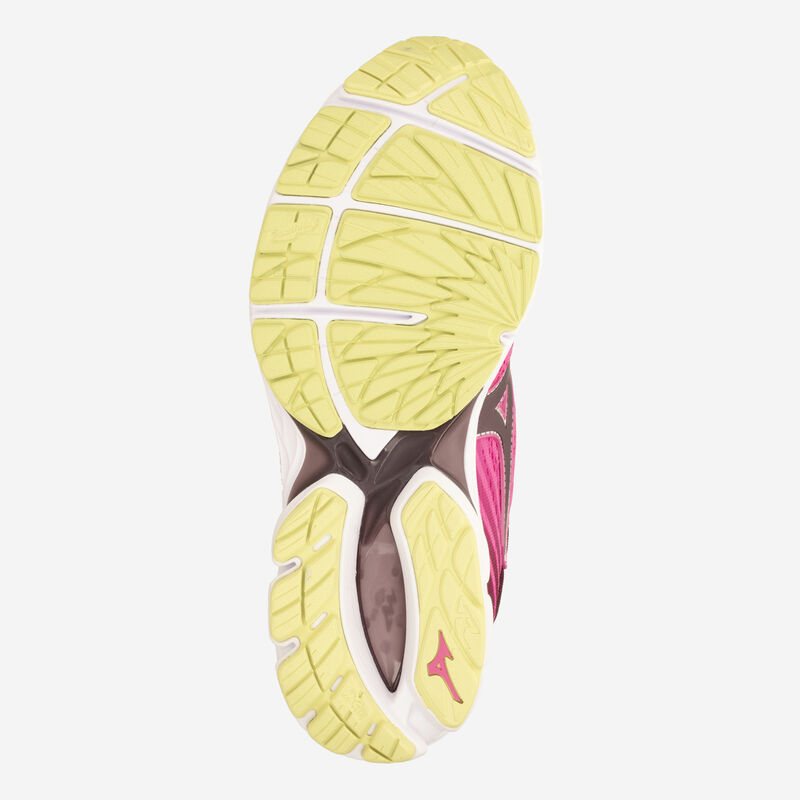 It does this by incorporating a full-length ventilation system in the sole of theshoe that removes heat and humidity from thefoot through a system of ventilation channels. 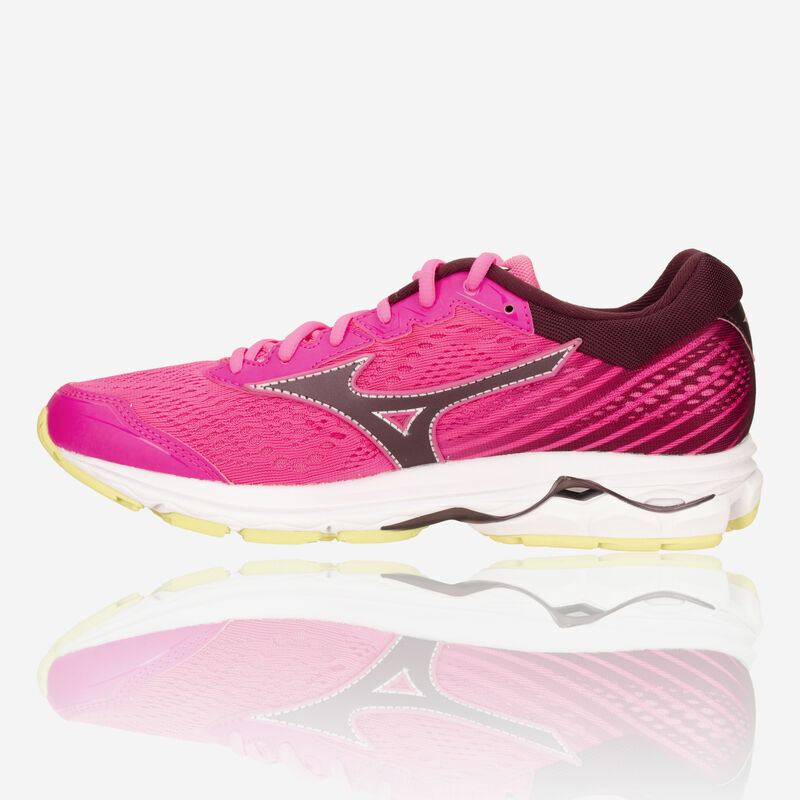 An evolutionary lightweight midsole that deliversstress-free cushioned rides with high rebounds.It gives an energised, euphoric and super-comfortable run. Durability and Traction. X-10 is an extremely durable Mizuno carbon rubber that allows forlonger wear in high impact areas and givesmore traction at the heel strike. The Wave Plate is constructed with a bio-sourced Pebax Rnew® plate. This provides extremely lightweight support and energy return, empowering athletes with every step. *For the correct garment treatment, please follow the manufacturer's instructions. Are you not registered on RUNKD?